The Sonora Cartel, also known as Caro Quintero Organization, is a Mexico based criminal cartel. Upon the cartel's disintegration, its leaders are incorporated into the Tijuana Cartel and Sinaloa Cartel. 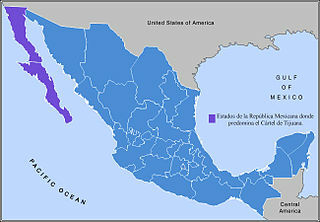 The Sonora Cartel, Colima Cartel and Milenio Cartel are now branches of the Sinaloa Cartel. The Sonora Cartel was considered by the United States Drug Enforcement Administration (DEA) to be one of the oldest and best-established cartels. The cartel′s roots are in the Guadalajara Cartel, which dissolved after the 1989 arrest of its co-founder, Miguel Ángel Félix Gallardo. Rafael Caro Quintero, Miguel's brother, was in jail for his role in the killing of DEA Special Agent Enrique "Kiki" Camarena in 1985. The Sonora cartel had direct links to Colombian drug cartels and operated routes into California, Arizona, Texas and Nevada. The Sonora cartel was headed by Miguel Caro Quintero and operated out of Hermosillo, Agua Prieta, Guadalajara and Culiacán, as well as the Mexican states of San Luis Potosí, Sinaloa and Sonora. 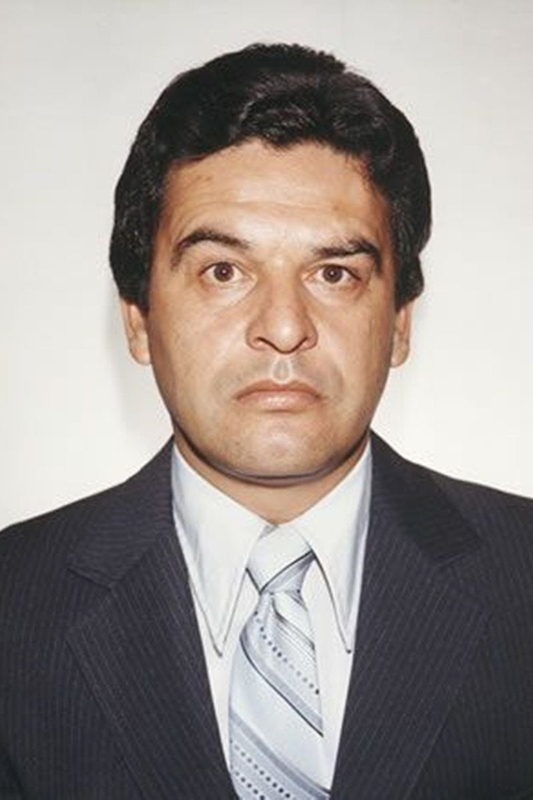 The Sonora Cartel was led by Miguel Caro Quintero, brother to Guadalajara Cartel co-founder, Rafael Caro Quintero, who was arrested in Costa Rica in 1985 in connection with the torture and death of DEA Special Agent Enrique Camarena. Miguel Caro Quintero would eventually be arrested in 1989, however it is believed he still maintains control over the organization from behind bars. The Sonora Cartel is believed to be one of the earliest cartels to begin shipping cocaine from Colombia, particularly from the Cali Cartel. The cartel was involved in the cultivation and distribution of marijuana primarily, however secondary functions include the transportation and distribution of methamphetamine. Operating out of northern central Mexico, the cartel was believed to smuggle drugs into Arizona, Texas and California from a network of ranches along the northern border region where the drugs are stored prior to shipment. The Sonora Cartel has been specifically linked to operating out of Hermosillo, Agua Prieta, Guadalajara, Culiacán, San Luis Potosí, Durango, Sinaloa and Sonora. Miguel Caro Quintero was born in Caborca, Sonora, Mexico, in 1963. Previously arrested in 1992 on charges of tax evasion, he was found not guilty, which the DEA attributes to the use of threats and bribes by Caro Quintero. While imprisoned, it is believed Caro Quintero was still running the Sonora Cartel, where he is purging a prison sentence for racketeering, drug smuggling and money laundering. Caro Quintero was arrested in December 2001 in Los Mochis, Sinaloa. Prior to his arrest he repeatedly stated he is innocent of the charges and has accused the DEA of pursuing a vendetta against him for his brother, Rafael Caro Quintero's, alleged role in the death of DEA Special Agent Enrique Camarena. Miguel Caro Quintero is noted as having called into a radio station to profess his innocence, stating: "If I had a cartel, I'd have a lot of money and my brother wouldn't be there (in jail)" and claiming to be an innocent rancher. He further stated he does not believe his brother was involved in the killing of the DEA agent. Rafael Caro Quintero is the co-founder, with Miguel Ángel Félix Gallardo, of the Guadalajara Cartel and Sonora Cartel. He was arrested in Costa Rica on April 4, 1985, for the kidnapping, torture and murder of federal agent Enrique Camarena, and was also charged with violent crimes in aid of racketeering, possession with intent to distribute marijuana and cocaine, murder, continuing criminal enterprise. ^ a b c d Richards, James R. (1998). Transnational Criminal Organizations, Cybercrime, and Money Laundering. CRC Press. p. 320. ISBN 978-0-8493-2806-0. ^ a b c d e Jesse Helms, ed. (1999). Mexican and American Responses to the International Narcotics Threat. U.S. Senate, Subcommittee on Western Hemisphere, Peace Corps, Narcotics and Terrorism of the Committee on Foreign Relations. pp. 61, 136, 137. ISBN 978-0-7881-8008-8. ^ a b c Weiner, Tim (December 22, 2001). "Suspect in Vast Drug Ring Held in Mexico; May Be Sent to U.S." New York Times. Retrieved 2008-04-14. ^ a b "DEA - Publications - Congressional Testimony - 09/12/96". United States Drug Enforcement Administration. September 12, 1996. Archived from the original on October 8, 1999. Retrieved 2008-04-14. ^ Liddick, Donald R. (2004). The Global Underworld: Transnational Crime and the United States. Greenwood Publishing Group. p. 33. ISBN 978-0-275-98074-0. The Tijuana Cartel or Arellano-Félix Organization is a Mexican drug cartel based in Tijuana. The cartel once was described as "one of the biggest and most violent criminal groups in Mexico." However, since the 2006 Sinaloa Cartel incursion in Baja California and the fall of the Arellano-Félix brothers, the Tijuana Cartel has been reduced to a few cells. In 2016, the organization has become known as Cartel Tijuana Nueva Generación and has begun to align itself under the Jalisco New Generation Cartel, along with Beltrán Leyva Organization (BLO) to create an anti-Sinaloa alliance, in which the Jalisco New Generation Cartel heads, creating a possible powershift in Mexico. Joaquín Archivaldo Guzmán Loera is a Mexican drug lord and former leader of the Sinaloa Cartel, an international crime syndicate. Known as "El Chapo" because of his 168 cm stature, Guzmán is considered to have been the most powerful drug trafficker in the world. Drug Wars: The Camarena Story is a 1990 TV mini-series based on Elaine Shannon’s book Desperados and the Time magazine article of the same name. It was directed by Brian Gibson and starred Steven Bauer, Miguel Ferrer, Benicio del Toro, Treat Williams and Craig T. Nelson. It was the second most watched NBC mini-series of the year following The Kennedys and was followed up in 1992 with Drug Wars: The Cocaine Cartel starring Dennis Farina. Francisco Rafael Arellano Félix was a Mexican drug lord and former leader of the Tijuana Cartel, a drug trafficking organization. He was the oldest of seven brothers and headed the criminal organization early in the 1990s alongside them. Through his brother Benjamín, Francisco Rafael joined the Tijuana Cartel in 1989 following the arrest of Miguel Ángel Félix Gallardo, one of the most prominent drug czars in Mexico during the 1980s. When the Arellano Félix took control of the organization in the early 1990s, tensions with the rival Sinaloa Cartel prompted violent attacks and slayings from both fronts. 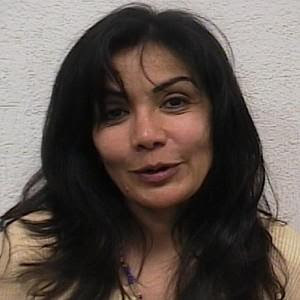 Sandra Ávila Beltrán is a Mexican drug cartel leader, dubbed "La Reina del Pacífico" by the media. She was arrested on September 28, 2007, and was charged with organized crime and conspiracy to drug trafficking ; Some charges were later dropped but she was still held on possession of illegal weapons and money laundering, pending her extradition to the United States. On August 10, 2012, she was extradited to the United States to answer to criminal charges by the U.S. government. Juan José Esparragoza Moreno, commonly referred to by his alias El Azul, is a Mexican drug lord and leader of the Sinaloa Cartel, a drug trafficking organization. Originally a member of the Dirección Federal de Seguridad (DFS) police agency, he founded the Guadalajara Cartel in the 1970s along with other drug kingpins in Mexico. Following its disintegration in the late 1980s, he went on to lead the Juárez Cartel and eventually settled in the Sinaloa Cartel. He worked alongside Joaquín "El Chapo" Guzmán, once considered Mexico's most-wanted drug lord. Enrique S. "Kiki" Camarena Salazar was a Mexican-born American undercover agent for the United States Drug Enforcement Administration (DEA) who was abducted on February 7, 1985, and then tortured and murdered, while on assignment in Mexico. Narcos: Mexico is an American crime drama web television series created and produced by Chris Brancato, Carlo Bernard, and Doug Miro that premiered on Netflix on November 16, 2018. It was originally intended to be the fourth season of the Netflix series Narcos, but it was ultimately developed as a companion series. 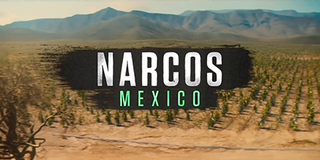 It focuses on the illegal drug trade in Mexico, whereas the parent series centered on the illegal drug trade in Colombia. On December 5, 2018, Netflix renewed the series for a second season.